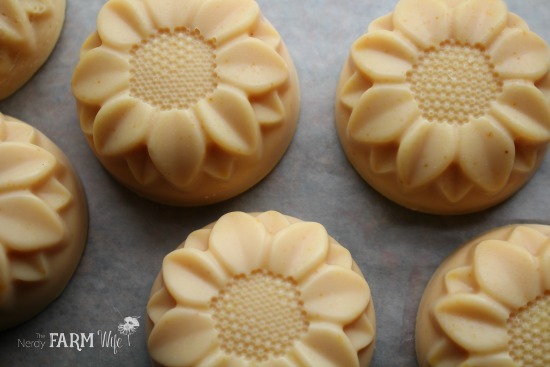 These cheerful little sunflower soaps are made with sunflower-infused oil and naturally colored with lemon peel powder. 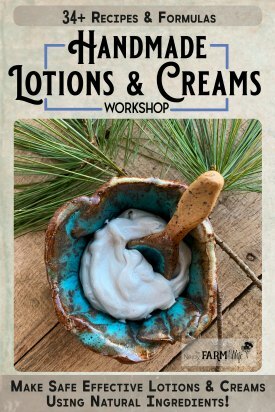 I scented mine with a bright blend of mostly citrus essential oils, but feel free to use other scents in their place, or leave them completely unscented. Option 1: Make a sunflower petal tea to use in place of the distilled water. Option 2: Make a sunflower-infused oil. 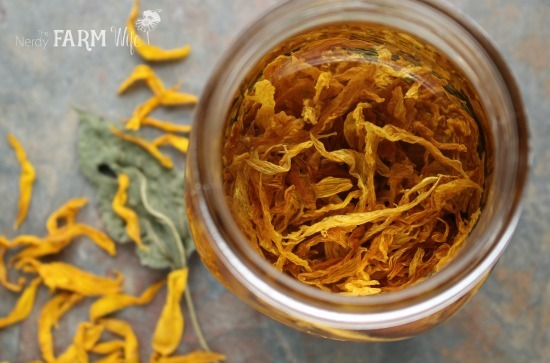 Fill a canning jar about half-way with dried sunflower petals. Pour olive oil over them until completely covered by several extra inches of oil. Cover with a lid and infuse for several weeks, then strain. For a quicker infusion, set the uncovered jar into a saucepan filled with a few inches of water. Heat the pan over low heat for 2 to 3 hours. Cool and strain. Use in place of regular olive oil in recipes. Set the lye solution aside in a safe place where it won’t get disturbed and allow it to cool down around 20 minutes, then stir in the lemon peel powder. Allow the lye to continue cooling about 10 to 20 minutes longer. Weigh out the cocoa butter and coconut oil and melt it in a double boiler or over low heat until melted. While that melts, weigh out the olive, rice bran and sunflower oils and place them in a heat-resistant soap making pot, bowl or pitcher for mixing. Pour the hot melted cocoa butter and coconut oil into the other oils. That should bring the temperature up to somewhere around 90 to 100°F (32 to 38° C). Hand-stir in the essential oils, if using. The amount I listed gives a very light scent when fully cured, so if you’d like a more noticeable scent, you can increase the amounts. 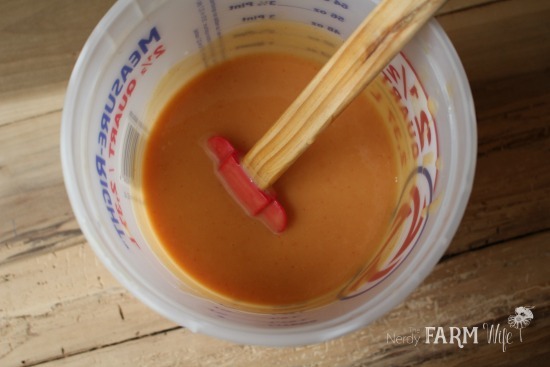 NOTE: The soap batter will look orange at first, but that’s okay! It will mellow in the mold and even more so as it goes through cure time. Peek at your soaps every so often. If you see any developing a crack down the middle, they’re getting too hot, so move the mold to a cooler place in your house. After 24 hours, remove the freezer paper and blanket/towel, then let your soaps stay uncovered in the mold for 2 to 3 days or until they’re firm enough to release fairly easily. If needed, you can pop the mold in the freezer for 4 to 6 hours until completely solid, then try removing. 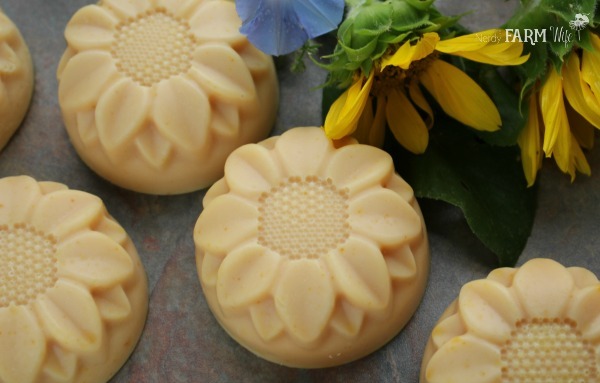 After unmolding the sunflower soaps, allow them to cure in the open air for at least 4 to 6 weeks. Tagged sunflower. Bookmark the permalink. 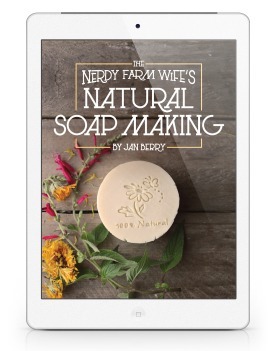 I made your dandelion soap with great success. Thank you for excellent directions . Question: Can I use the same directions but change the flower to dry rose petals from my garden? Thanks again for making my first try at soap making a success. Yes, you sure can use the same recipe using rose petals instead. Hi Aloida! I’ve not used almond powder in soap before, so I’m not sure how well it will do. It’s possible that it may have darkened up the soap. 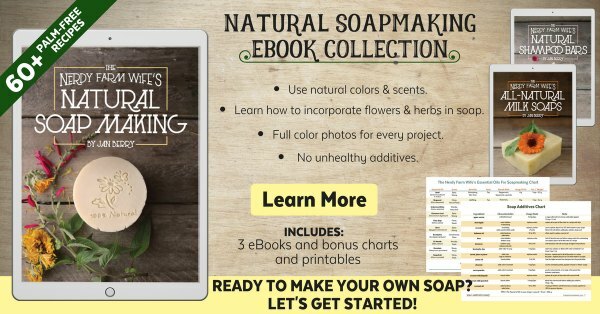 The yellow color shown comes from the lemon peel, so without it, the soaps won’t be that color. How are they looking now that they are a couple days old? Hi Jan, can this be converted to a hot process soap? Any tips? Hi Mar! Yes, the coconut oil provides lather and to a smaller extent, some of the other oils. 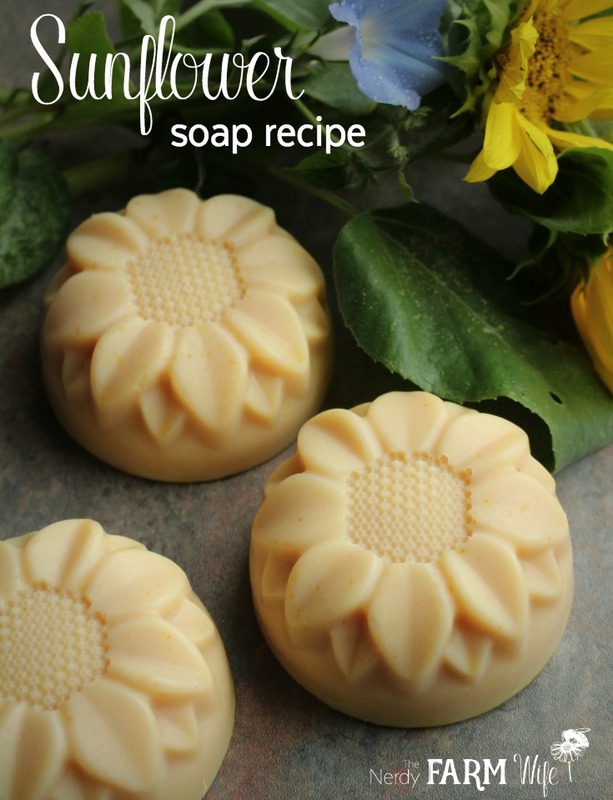 Castor oil is a great addition to soap recipes though; I love the extra boost to lather it gives!